A recent article by Yadhana Jadoo in The Citizen shows how having Cyril Ramaphosa as president will boost the ANC’s chances of winning over popularity for the 2019 elections. The president’s popularity is bigger than that of the party, but if he fails to act decisively on issues like corruption, the honeymoon might well be over. Having President Cyril Ramaphosa as the face of the ANC will no doubt help the party in next year’s elections, eventually pushing it towards a two-thirds majority win – but this will not be easy. 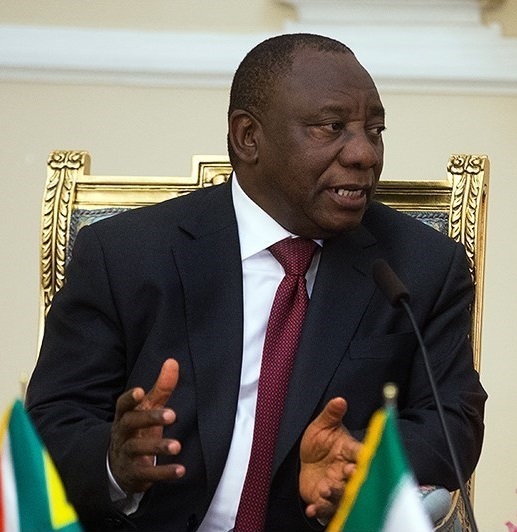 Ramaphosa – while favourable for the party to ensure recovery from the damaging nine-year reign of former president Jacob Zuma – still has a hard task ahead of him in shifting the vote to the ANC. A recently conducted South African Citizen Survey by Citizen Surveys has shown that 71% of black adults would vote ANC in the 2019 national elections with Ramaphosa as its leader. But analysts are only predicting between a 60% and 64% result for the ANC come next year, arguing that this was a honeymoon period in which Ramaphosa gains popularity among South Africans who breathe a sigh of relief at Zuma’s exit. Political commentators Professor Susan Booysen, Dr Somadoda Fikeni and Ralph Mathekga all concur that the real work for Ramaphosa in his stance against corruption is yet to begin to ensure public support for the ANC. “The ANC has always fared relatively well among black South Africans … but many of the 71% may not be registered or interested to vote,” Booysen said. “I think it would be safe to say that by current indications the ANC could get 60% or over. It is still a long walk to 66% and 71%. “We must also bear in mind that there is a somewhat inflated optimism and ‘new dawnism’ with everything being rosy coloured at this moment because we’re extremely relieved that Zuma is not in power anymore. “There are a lot of benefits that Ramaphosa and the ANC get from that. Going ahead it might improve further if there are actions that match the original optimism. Fikeni predicted the ANC would stabilise next year or regain slightly more than the 62% win it previously acquired. The ANC under the then president Nelson Mandela had started on a low base in 1994, he said, adding that their best result was under then president Thabo Mbeki where they achieved “literally something like 69% or 70%. The decline started in the Zuma years”. South Africa was in a “honeymoon moment of hope” before some of the realities hit, Fikeni said. Mathekga said that, for the first time, the ANC sees itself with a president whose popularity is bigger than that of the party. “The closest we got to that was under Mbeki. But now it’s a different picture altogether. I do think he will lift the ANC, but 71% is too stretched,” he said.